Key of G. I – IV – V – vi – IV – V – I. If you play acoustic guitar in most youth praise bands in churches today, every song with the above chord progression will sound EXACTLY the same. I’ve written on #NoCamo about the rarity of quality electric guitar players in churches today. I believe there is a level of dedication and financial investment necessary to succeed at electric guitar that is not often found today. There’s another aspect to the issue, though. If an electric guitarist learns a song with the above chord progression, he or she is not learning chords. They are learning licks. When you play lead or rhythm, the notes you play help structure the song. If you play acoustic, it is possible to play every song that has the same chord structure the same way. This leads to a musical disconnect. Strumming away with no purpose is not really learning a song. It’s learning a pattern. A pattern of up and down dominant hand movements with corresponding left hand configurations, repeated until done. 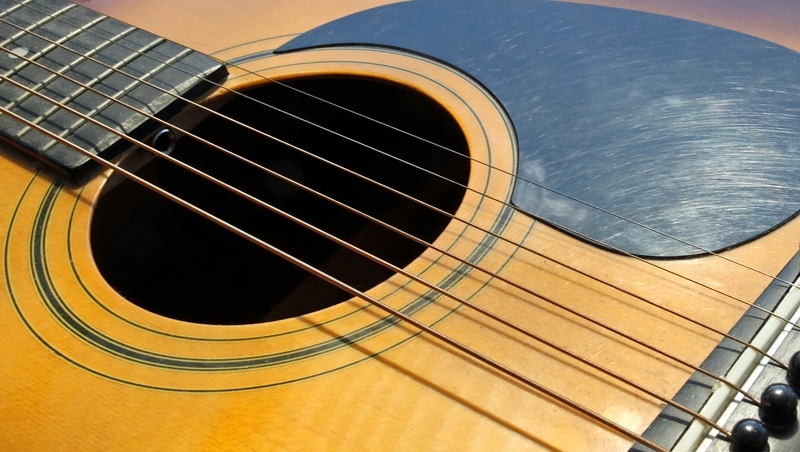 Acoustic guitar players need to be encouraged to find strumming patterns, fills, fingerpicking techniques, percussive elements, and breaks within songs with which to differentiate songs in their repertoire.